One month ago, when my #eoicei colleagues visited the KIT center in Germany, I was a few thousand miles away, heading to other key cluster of Academia and Research in Cambridge, MA: Harvard and MIT. 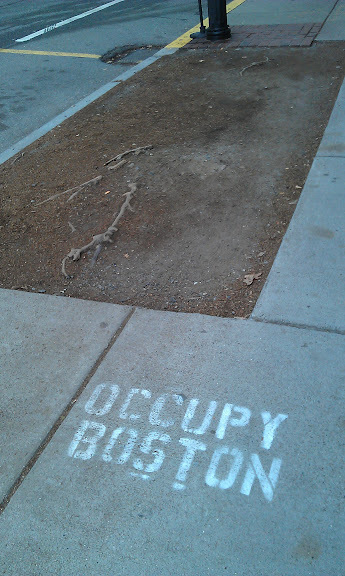 Let´s say I occupy Boston my way, with mixed feelings, memories and tones of curiosity. Eight years after my research at Harvard as Visiting Scholar (2003), I confess I was excited and touched, walking in the same paths, entering the same old buildings, meeting the same professors. But, I also have this impression of how different and similar was everything at the same time. One quick observation: how difficult it is for Harvard institution as such, especially concerning Faculty and Schools, to bring fresh air and new methodologies into the classroom. I met and old friend, a senior professor at the Graduated School of Education, who was amazed for the EOI projects we were developing to transform it into a digital and Open School. As he told me, Harvard, that is supposed to be leading the change in this field, it is just starting its own strategic process to embrace more openness and dealing with many resistances from inside. But America is the land of controversy and contradiction. And, whereas in one side of the road you can find the most traditional and conservative lecture style room, at the other side, you can find the most radical thinking center concerning digital culture and politics of internet. But hardly they talk to each other. 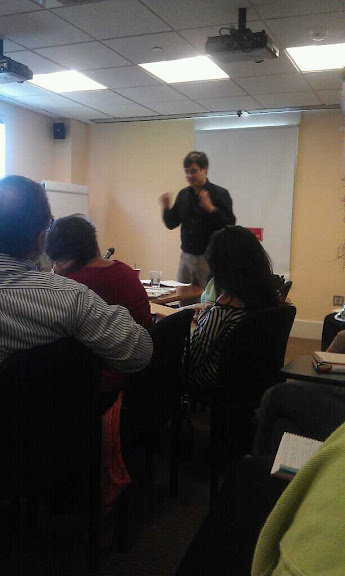 I mean the Berkman Center, one of the most interesting places in the world to work and study about society and technology. I got to know the Berkman Center in 2003 just by accident. I heard about a workshop about blogging and decided to join it. I am not exagerating if I say that it changed my life. We didn´t talk about web 2.0, twitter or social networking at that time. But everything was about participation, democracy and freedom. 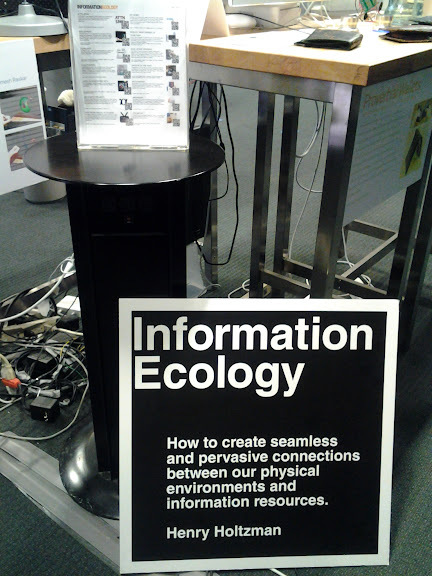 The main essence of the social web scenario as we know it today and the ADN of the Berkman Center since then. In the flight to Boston I was reading two books: Ciencia expandida, naturaleza común y saber profano (A. Lafuente y A. Alonso) and Trabajos de cristal. Ensayos de historia de la ciencia (1650-1900) of S. Shaffer. 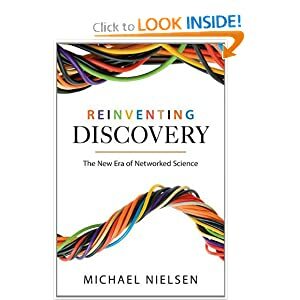 So, I found it as a new magical signal to attend one of the events of the Open Access Week at Berkman, a free luncheon open meeting to discuss about open science with Michael Nielsen who have just published a new book Networked Science. I can´t describe the honour to be there listening to Michael talking about open and collaborative research (see the video), and finding people like D. Weinberger after our meeting in Madrid in 2009. The day after I went to MIT and, as in Harvard nothing had changed for better or worse (Berkman pushing Vs. Faculty tradition), in MIT everything is a continous flow. Two main references I had, now were completily renewed. 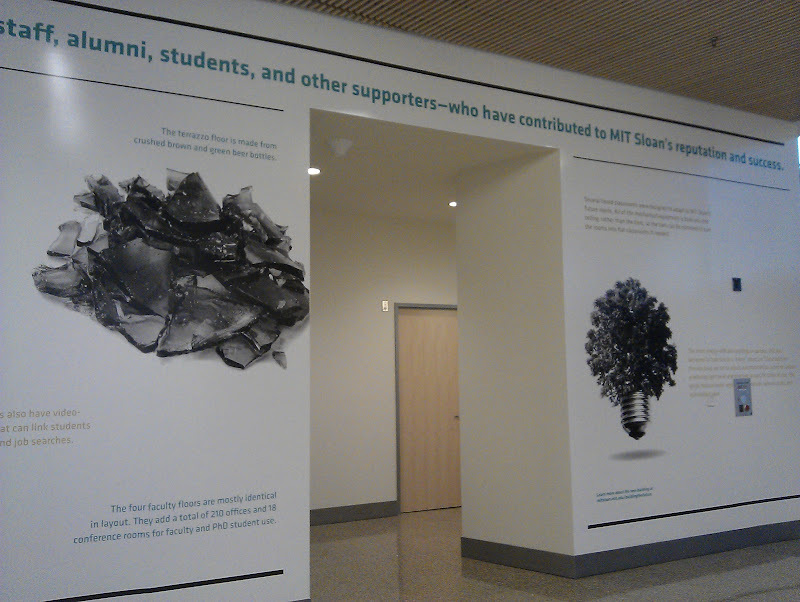 On the one hand, the Sloan School, now transformed in a wide open floor with sustainability values in their walls. 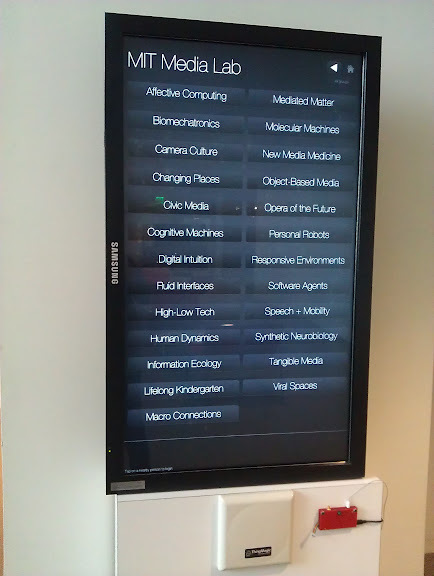 On the other, the MIT Media Lab, a hughe building for mixing people, projects, ideas, technologies and practices. A place where to stay and grow, to learn by doing and to think by learning. It is always unfair to compare, but the main insight I experienced was how dinamic it is and how far they have gone in terms of innovation comparing to its ancient neighbour in the last digital culture decade. 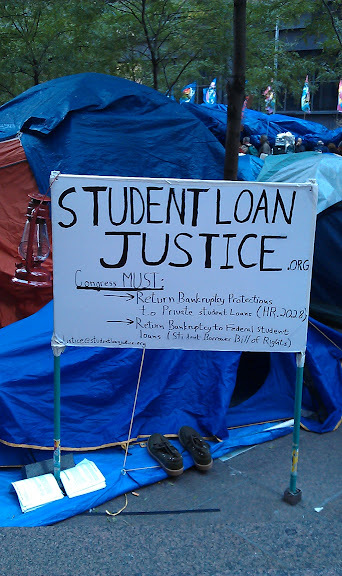 Then, only 20 minutes from there I walked to the occupy camps. 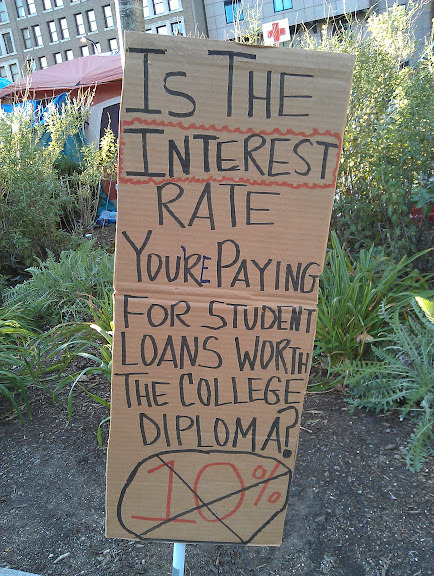 Different posters and different claims, but same students here and there. It is time to think about what future of education and what kind of academia do we want for our society. The question is… How to learn in uncertainty?